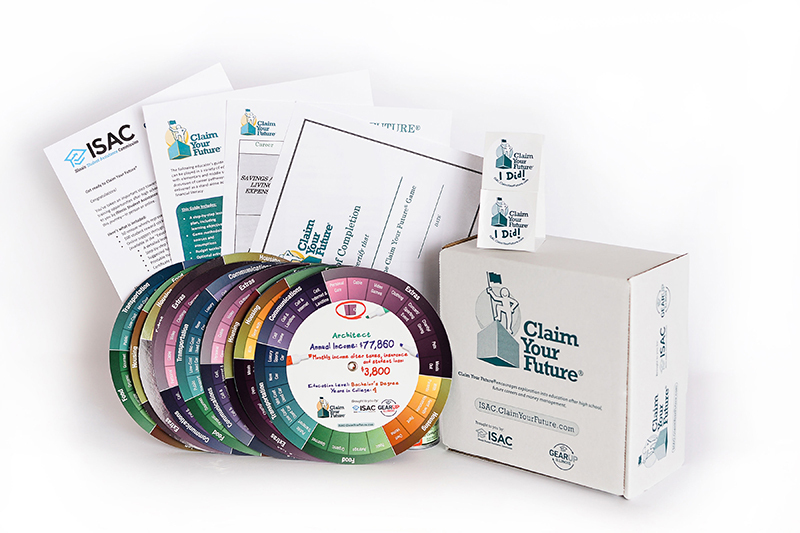 If you represent a Illinois school or an Illinois-based non-profit educational organization, you may request a free Claim Your Future® game kit by completing our contact form. If you represent an organization outside of Illinois, please visit the Order Kits page of ClaimYourFuture.com. To schedule a Claim Your Future session at your school, please print and fill out this Outreach Request Form. If you would like to schedule a staff training to use Claim Your Future with your students, please contact: isac.outreachtraining@illinois.gov. Claim Your Future © 2019 Finance Authority of Maine. All rights reserved.